Walgreens photo deals: Free 8X10 Collage print! You are here: Home / Walgreens photo deals: Free 8X10 Collage print! Walgreens is running a promotion all this week where there will be a new photo deal every day. Today’s deal is a free 8X10 collage print! Choose to pick up your items in store to save on shipping! Walgreens photo deals: 11X14 collage for $2.99! 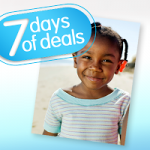 Walgreens 7 days of photo deals: free 8X10 photo! Walgreens Photo Deals: 5X7 Easel art for $1.99! 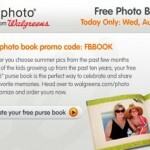 Get a free photo book from Walgreens!